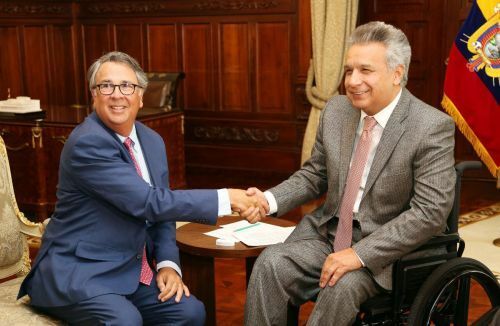 On Jan. 14, 2019, Syracuse University Professor Peter Blanck, Chairman of the Burton Blatt Institute (BBI) and the Global Universal Design Commission (GUDC), met with Ecuadorian President Lenin Moreno, the First Lady, and Ecuadorian ministers to develop collaborative programs towards an inclusive country for Ecuadorians with disabilities. Blanck also presented to the Ecuadorian and Quito City governments the first recognition in Ecuador of GUDC principles for universal design (UD, aka “Design for All”). 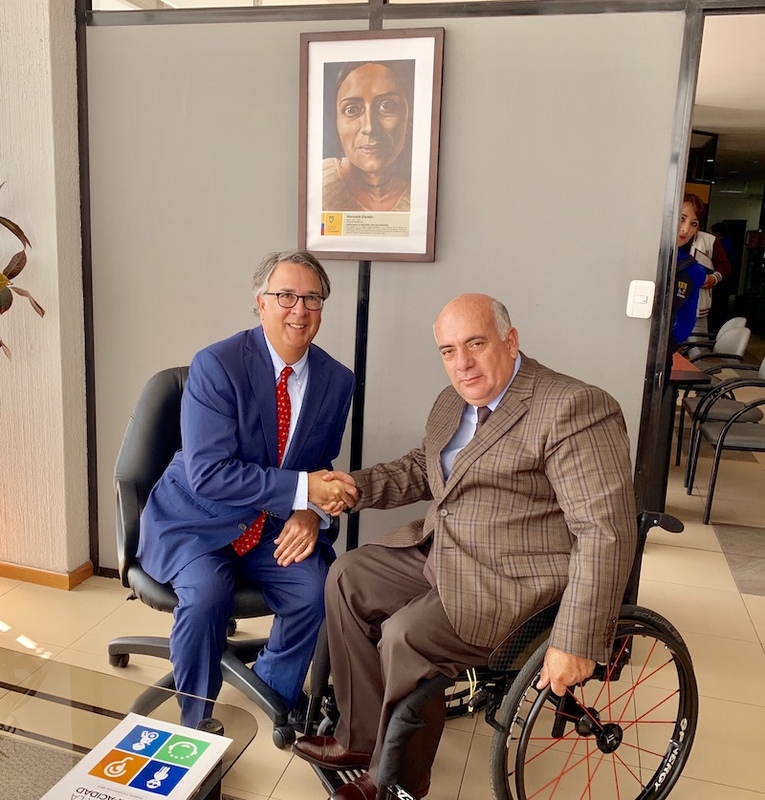 While in Ecuador, Blanck also will meet with Ecuador’s Minister for Total Life, which oversees inclusive services for persons with disabilities, older adults, and children, and with Xavier Torres, President of the Ecuadoran National Council for Equality of Disabilities (CONADIS). Torres is a leader of disability rights in Ecuador and was representative of Ecuador and Latin America for the UN Committee for Surveillance of the Convention on the Rights of Persons with Disabilities. 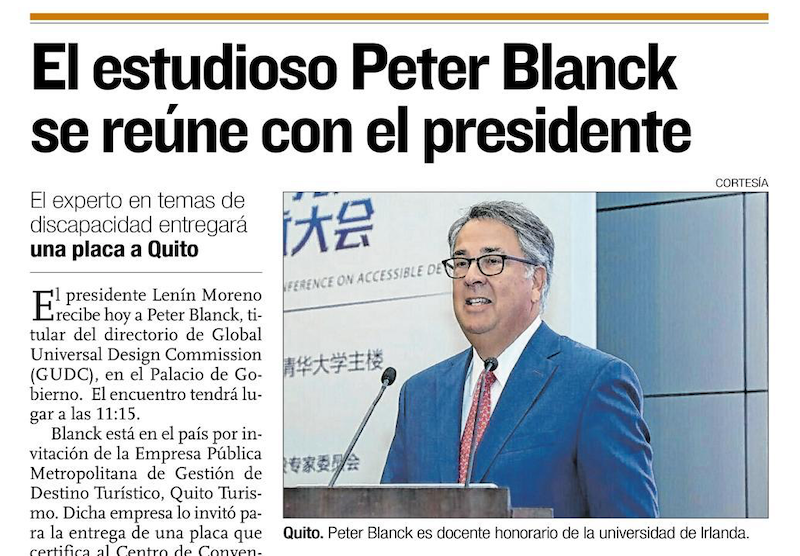 On January 18, Blanck will give a public address to celebrate the opening of the Metropolitan Convention Center of Quito, the first GUDC-certified building in Ecuador and Latin America. During this visit, Blanck will discuss future collaborations among Ecuador, BBI, and GUDC with Minister of Tourism Rosy de Holguin, Quito Secretary of the Environment Veronica Arias, and former Quito Mayor Paco Moncayo. GUDC is a not-for-profit corporation established to develop Universal Design (UD) standards for buildings, products and services. GUDC is developing UD voluntary consensus standards for commercial and residential buildings, which will expand access to buildings for all people, regardless of physical stature and varying abilities. The approved UD standards will help guide corporations and government entities in the creation of barrier-free facilities, providing diverse users with access to commerce, public services, entertainment, housing, and employment opportunities.